Have you ever been driving and then suddenly encounter something out of the ordinary that just makes you stop in your tracks? Maybe you saw a deer in the road, a funny sign on the highway, or a person looking strange. Well, that’s what happened when the Hammetts were driving down the road on a rainy day in Greenbelt, Maryland. 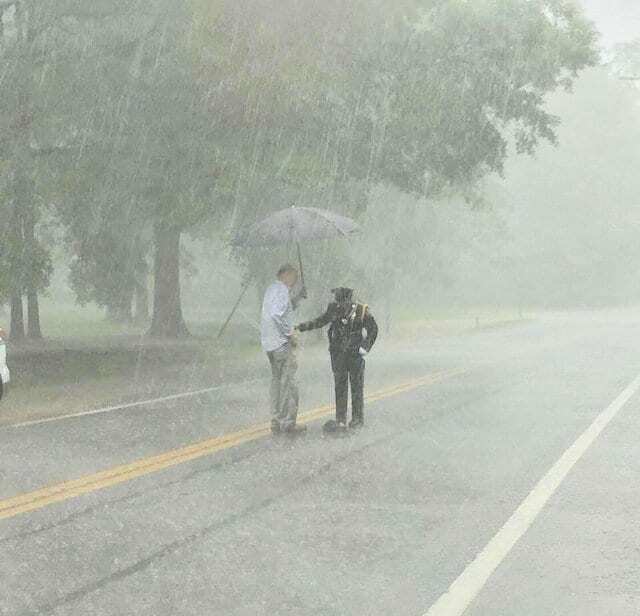 As the couple was driving through the unfavorable rainy conditions they noticed a police woman standing in the middle of the road. 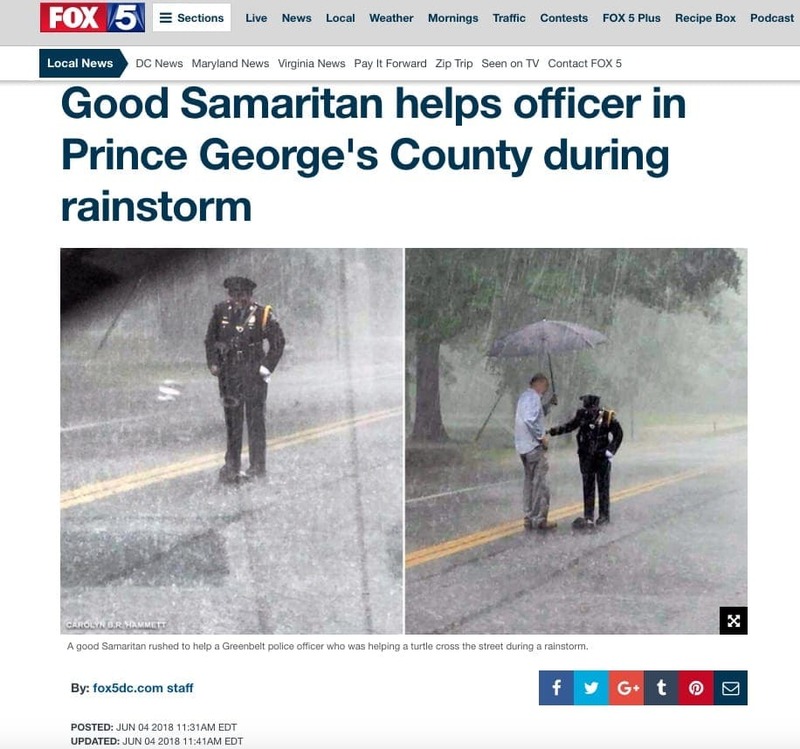 What made this sight so unusual was that the police officer was getting soaking wet in the rain, and as far as they could tell there were no emergencies in the area that she would have to be directing traffic away from. So what was she doing there? As the couple stopped their car and got closer they realized just who (and what) this officer was protecting. 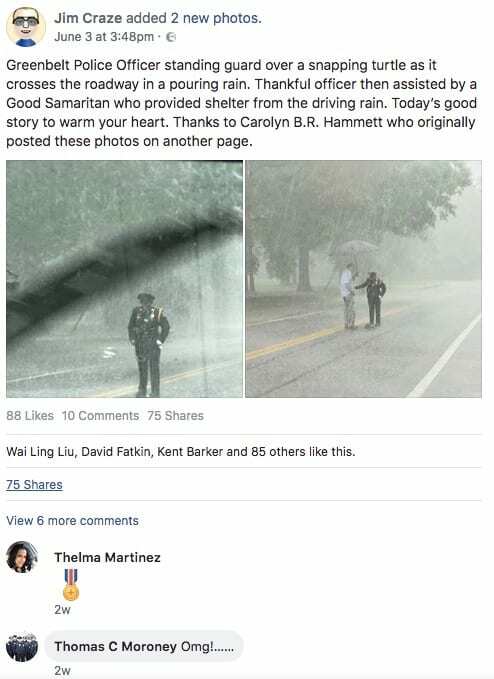 Once the Hammetts understood the situation they decided they couldn’t just leave this brave officer out in the rain, they had to help too. With a little bit of teamwork and some quick thinking, these kind hearted people helped to turn a difficult situation into a happy ending for everyone involved. This Maryland city is located in Prince George County, close to Washington D.C. 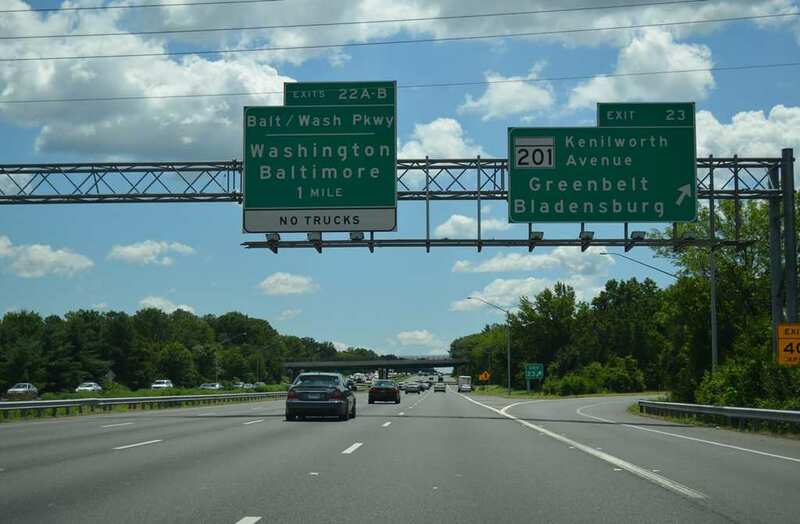 In fact, many of its residents are commuters to the nation’s capital, and it is also close to the University of Maryland and the Goddard Space Flight Center of NASA. The city boasts a population of around 23,000 residents. It was originally created by the U.S. government as one of their planned “green” cities in the 1930s with the hope that it could add some much needed housing for the Washington D.C. area that was also affordable. Because of its proximity to the capital, and the great transportation options nearby, it’s become a very desirable community to live in. Carolyn and Kevin Hammett were on route to a family reunion, along with their daughter Honora, when they spotted something out of the ordinary. 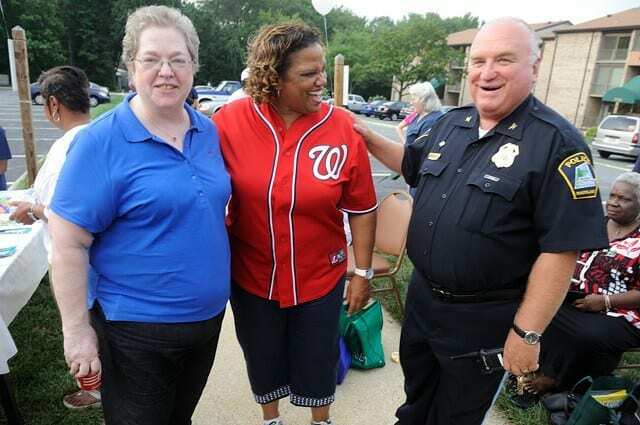 The family are locals of the Greenbelt, Maryland community and are generally known by their friends and neighbors to be kind hearted people who are happy to help. After Carolyn shared this story and people caught on, Honora shared that it was absolutely no surprise to her that her parents had stopped the car on that fateful day. Doesn’t matter if they were late to the reunion, helping always comes first. The day the Hammett family was driving to their family reunion mother nature had released quite a downpour of rain on the area. The road conditions weren’t ideal, and there was not great visibility. So, when they first saw a police officer standing in the middle of a busy road directing traffic around her they were a bit concerned. Was there flooding on the roads? 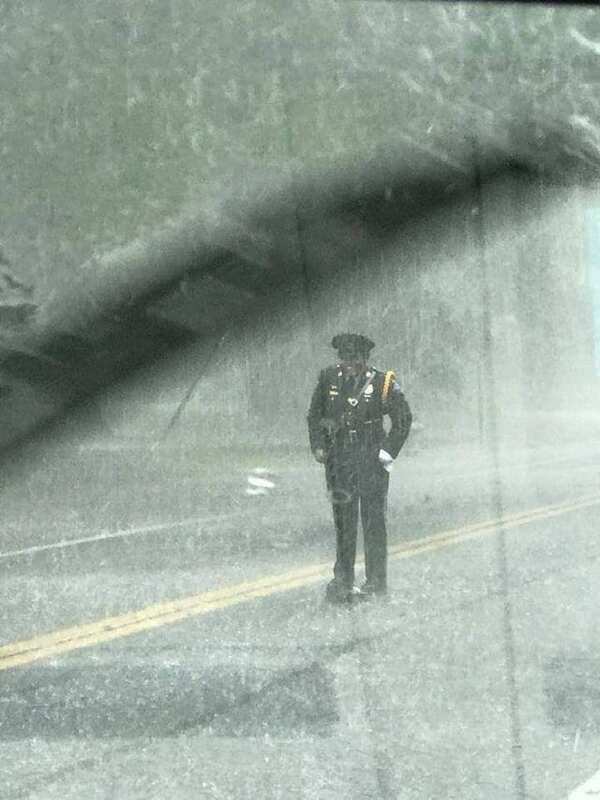 What was going on that would require the officer to be standing in the pouring rain? The reason immediately touched their hearts. Carolyn Hammett decided they needed to pull over and talk to this officer. As they approached the smiling woman in uniform they asked her what was going on. It was then they learned that she was protecting a snapping turtle who made the unfortunate mistake of deciding to take a nap in the middle of the highway. And because of the rain it would be hard for drivers to see him. So this police woman took it upon herself to protect the animal. 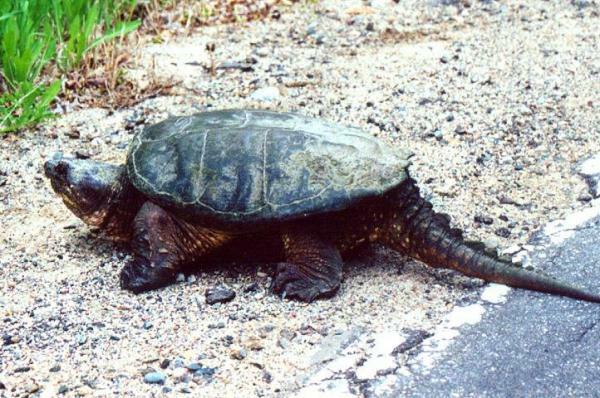 The Eastern Snapping Turtle found in Maryland is the largest freshwater turtle found in the state. They can be found all throughout Maryland, and in a way look a bit like dinosaurs with rows of horn like bumps on their backs and large heads. They have a reputation for acting aggressively towards any perceived threat with the powerful snapping motion they make with their mouths, and which can be very painful to be on the receiving end of. It’s because of this that they are considered quite dangerous to handle. The police officer, named Sharnise Hawkins Graham, shared with the Hammetts that while she had contacted animal control they had yet to show up, and because the turtle could potentially be dangerous they couldn’t risk just picking him up. The family didn’t hesitate to start helping. Kevin stood out in the rain with the officer, holding his umbrella for her, and then they quickly ran home to get some shovels they could use to safely move the turtle. 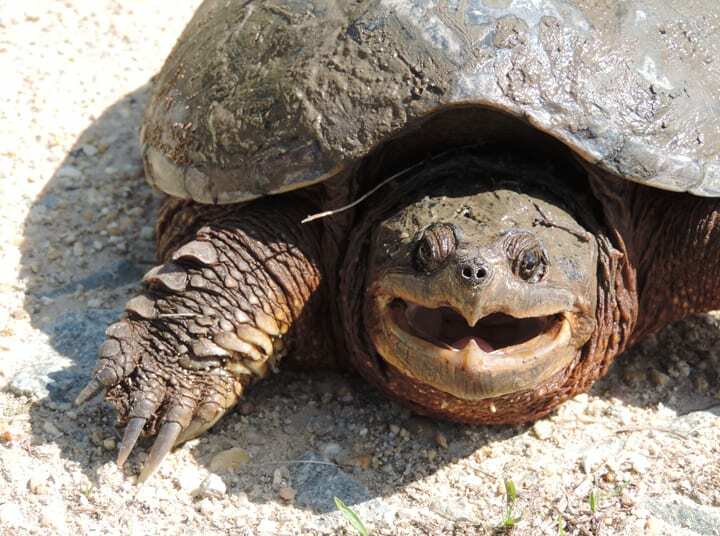 Luckily, thanks to the brave actions of Officer Hawkins-Graham and the quick thinking of the Hammett family, the snapping turtle was safely moved from the busy road to the side. Without the kindness of the humans the turtle would have undoubtedly met an unfortunate fate. Not only would the turtle have been harmed, but it’s possible that he could’ve cause damage to a car and humans could have been hurt as well. So who knows how many people were saved thanks to this one small act of kindness. Officer Sharnise Hawkins-Graham is undoubtedly the hero of this story. 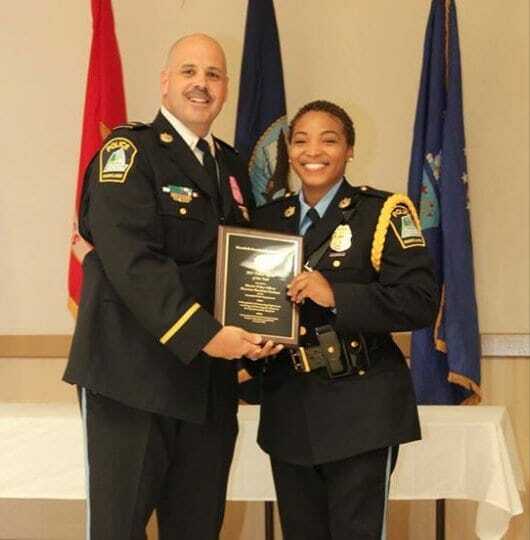 She has garnered quite the reputation for being a helpful person and a force of positivity among her fellow officers. 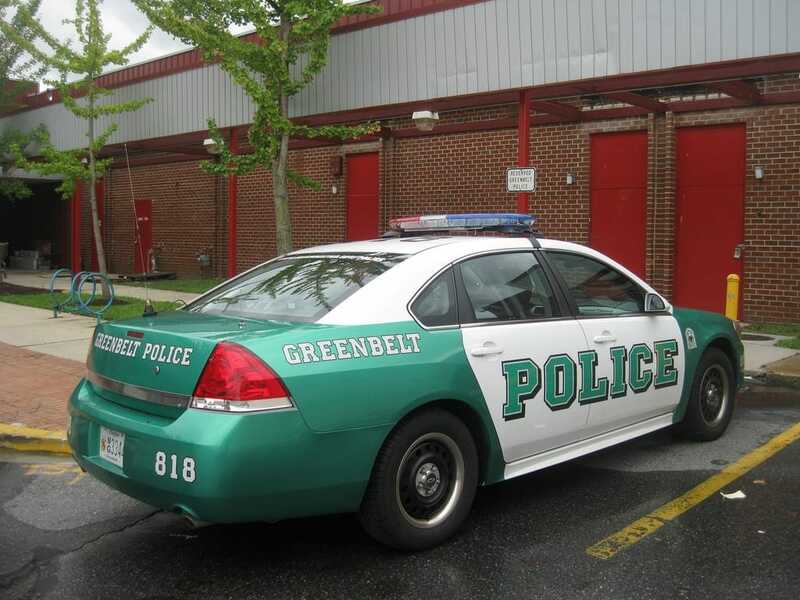 The Greenbelt Police Department was hardly surprised when they heard this story. In 2016 she received a commendation for helping to save a man’s life while on a duty, and in 2017 she was awarded officer of the year. And thanks to her kindness towards this turtle she’ll soon be adding an award from PETA to her list of accolades. 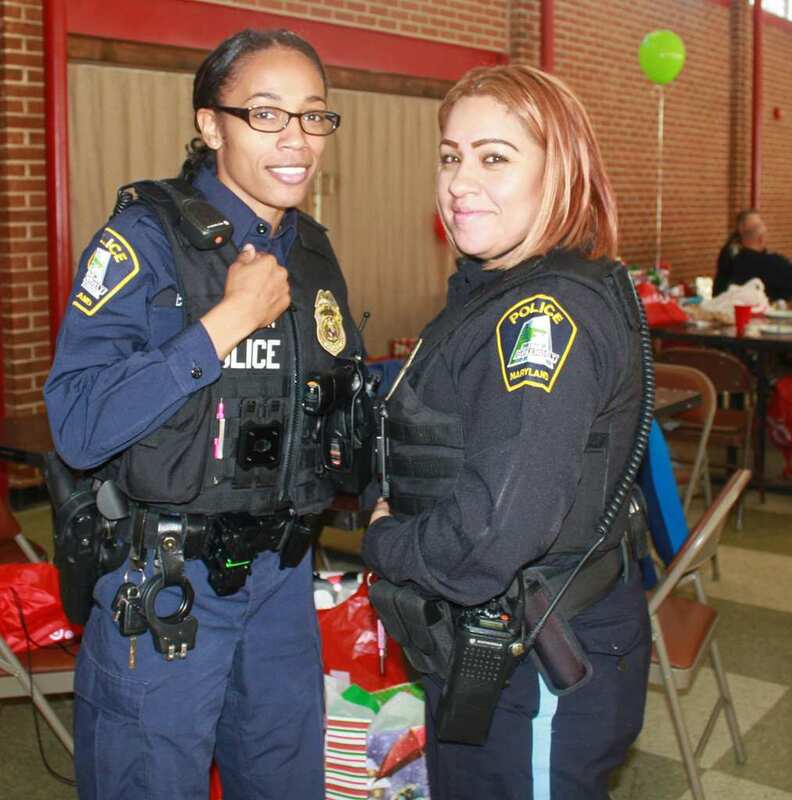 The Greenbelt City Police Department does their best to go above and beyond to serve their local community. The department consists of 53 sworn officers, in addition to about 15 other personnel who work with them, which seems small given the 23,000 people they strive to serve. But this police department seems to excel at what they do, which has earned the officers in this department several awards over the years given out by the state of Maryland. Keep up the good work! Honora and her mother Carolyn both snapped pictures during this turtle rescue, and after Carolyn shared her pictures on social media it didn’t take long for the story to spread rapidly. Soon people all over the internet were talking about Officer Hawkins-Graham and the Hammett family. In just a couple weeks the story has gotten dozens of shares, and the Greenbelt City Police Department even shared it a couple of times themselves. Officer Hawkins-Graham is officially internet famous! Officer Hawkins-Graham’s story didn’t just catch the attention of social media users, news outlets soon caught wind of it as well. 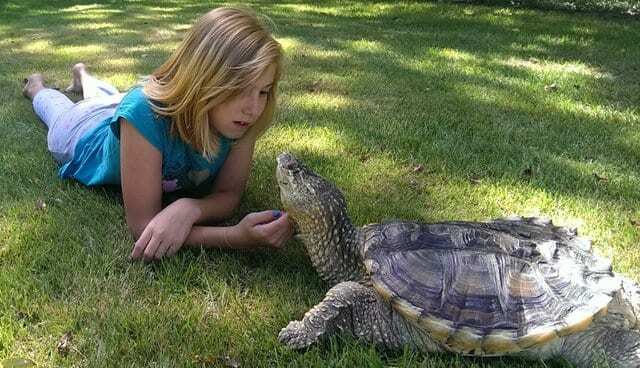 The story of how this one turtle was saved has now been published in numerous internet publications including Fox News, The Dodo, The Independent, Woman’s World, Life Buzz, and more. People were so touched by the kindness shown to a small creature that they just couldn’t help but be drawn to a positive story like this. With the story going viral and soon being spread all across America, many have commented that Officer Hawkins-Graham is simply an inspiring person. 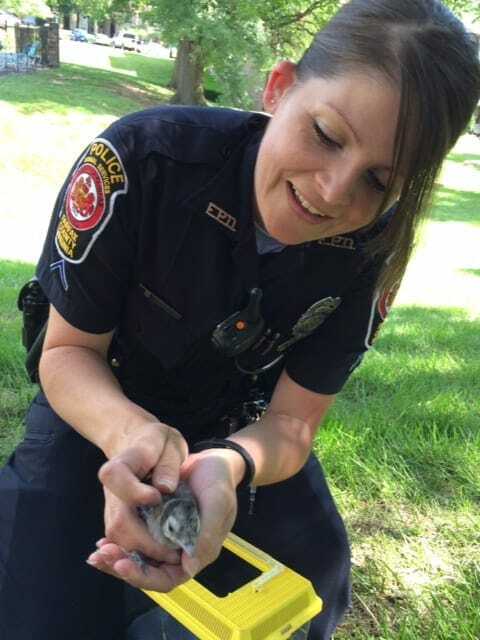 By going out of her way to serve and protect even the tiniest of residents, like a turtle, she has shown that even small actions can make a difference. 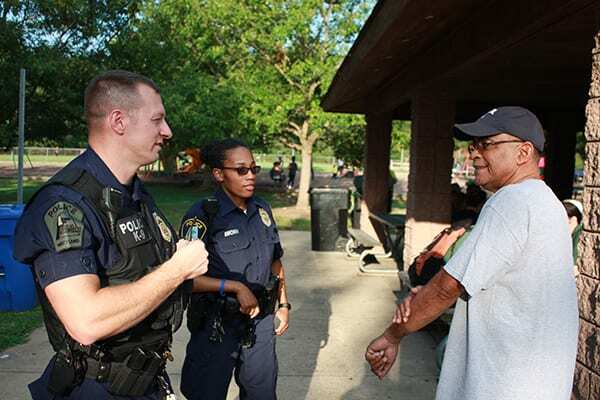 The community of Greenbelt has expressed their sincere pride to have an officer like Hawkins-Graham working for them, and they hope to see even more coming from their police in the future. It might seem silly to some that the story of one turtle could touch so many people, but there are those who hope that people who are inspired by Officer Hawkins-Graham will take that inspiration and turn into something positive. When discussing how her parents story helping this officer went viral, Honora Hammett said, “I hope more people will take these little acts and let it become a chain reaction.” And we definitely hope that as well! In this day and age it can often feel like the news is completely filled with nothing but sad and negative stories. This can feel especially true for stories involving police officers, and it’s a topic that has become very sensitive. So, when a story about a police officer comes along that is positive and inspiring, we can’t help but rejoice. The officers who do good things deserve to be celebrated, just like Officer Hawkins-Graham is right now. When we hear the motto that most police officers have, which is generally to protect and serve their community, we typically only think of the human community. But in many places it’s not just the humans who they serve. In fact, in some counties you can become an Animal Protection Police Officer, which entails assisting in a variety of encounters between humans and animals. They strive to help animals as humanely as possible, while also keeping humans safe. After all, animals are part of our community too. Unfortunately there are many situations where a four legged creature might find themselves in danger, but luckily there are police officers all over the world who go out of their way to help them. There are tons of beautiful stories out there there of officers who have rescued animals from abuse, neglect, dangerous natural elements, and more. Police often have the official means to help animals out of situations, but that hasn’t stopped regular citizens from trying to help too. 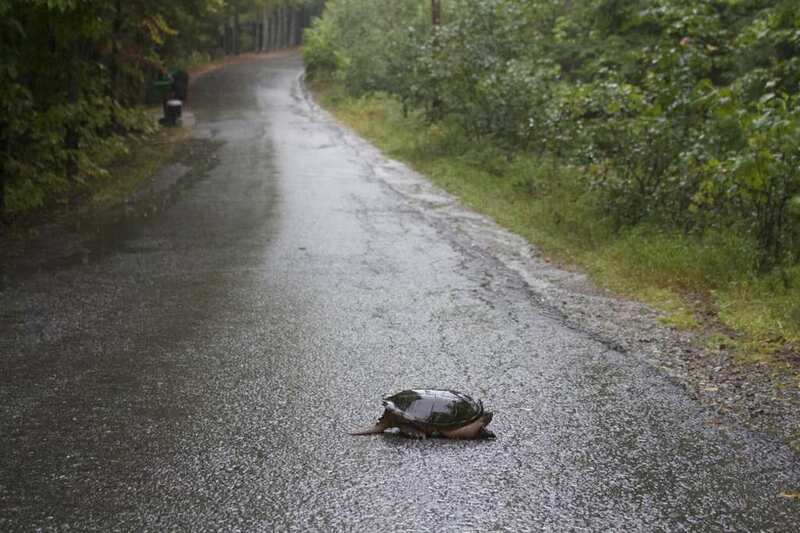 The turtle on the road isn’t the only snapping turtle to be rescued from a bad situation. In South Dakota a snapping turtle named Tank was rescued by a family from the middle of a busy parking lot. Just a baby at the time, the family took the turtle into their home, which is not usually advised with an animal like this. But Tank loved his rescuers so much that he basically became one of the family. He is very gentle with them, and loves to spend his time lounging around with the kids. Animal rescues don’t just happen in America, there are plenty of great stories happening around the world, including in Canada. 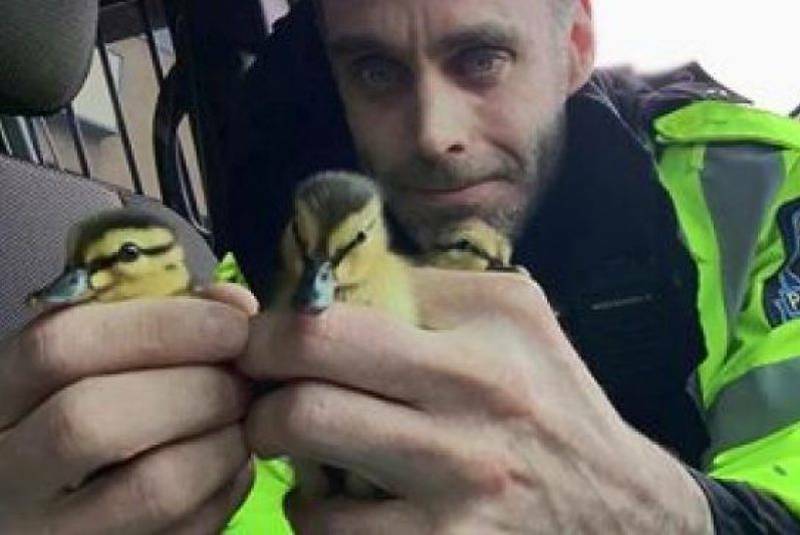 One Canadian police officer in particular, named Constable Andrew Gordon, has garnered quite the reputation in Halifax for rescuing animals. He’s rescued baby ducks, a seal pup, and dogs so far. Some have jokingly dubbed him the local pet detective or animal whisperer, and considering how many rescues he’s done the names might be a good fit. Cst. Gordon made headlines when his pet detection once again came to the rescue. When therapy dog Marley went missing from her family’s backyard the family was frantic to find her. After searching all night they had nearly given up hope, but Cst. Gordon saw an ad for a lost dog found and he decided to take a chance. Thankfully he was able to find Marley, and she was happily reunited with her family. What can we say? Animals just seem to flock to this guy. 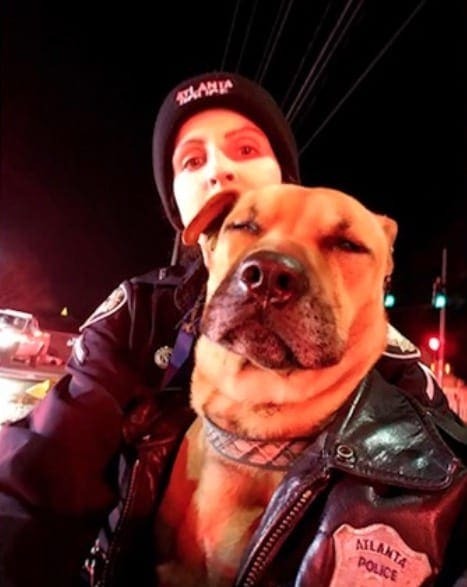 For another example of a heroic animal rescue, in Atlanta this past January, Officer Austin Denninger noticed a dog trapped inside a burning building. He didn’t hesitate for a second to rush in and carry the dog out. The officers on the scene provided first aid treatment, and thankfully the dog, now named Smokey, was able to recover. 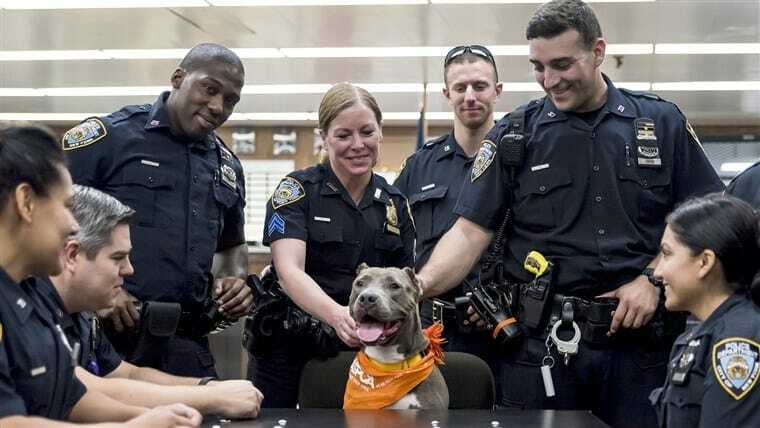 His owners were nowhere to be found, so the heroic officers have stepped up to try and help him get adopted. 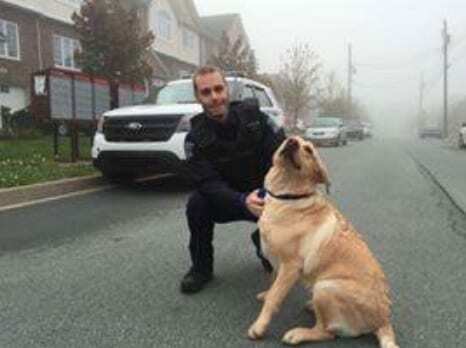 It is very fortunate that dogs like Smokey have police officer like these ones to help him!